Have you ever seen the massive black silhouetted image of a bull dotted along the Spanish landscape and wondered what they are doing there or where they came from? Well, here is a brief history of the Osborne Bull. 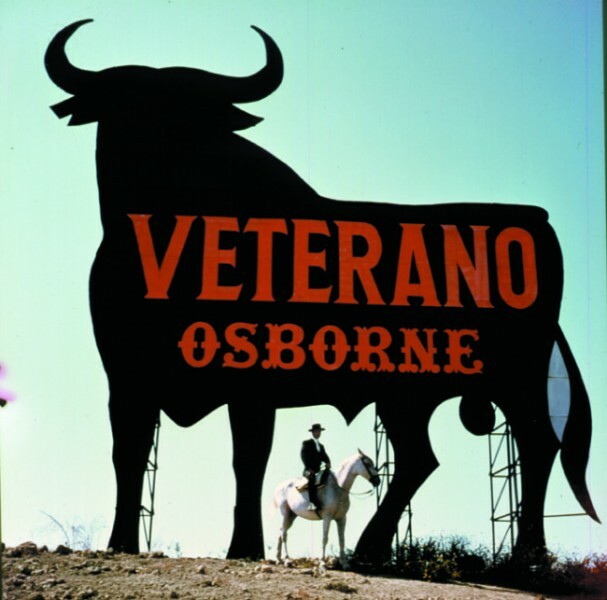 The Osborne sherry company (founded by Thomas Osborne Mann in 1772) erected large images of black bulls near major Spanish roads in 1956 advertising the “Veterano” brand in red. The bull was created by artist Manolo Prieto. In 1964 there were over 500 bulls located alongside the roads, each one measuring 14 metres (46 ft) high. However, in 1994 a new law came into effect prohibiting all advertising visible from public highways, thus endangering the very existence of the Osborne bull. By this time the signs were nationally renowned. Due to public response demonstrating their support in favour of the Osborne bull, the signs were retained, but had to be completely blacked out to remove all reference to the original advertisers. In 1997 the Spanish Supreme Court declared that the bulls could remain on the grounds that they have become intrinsic part of the Spanish landscape. 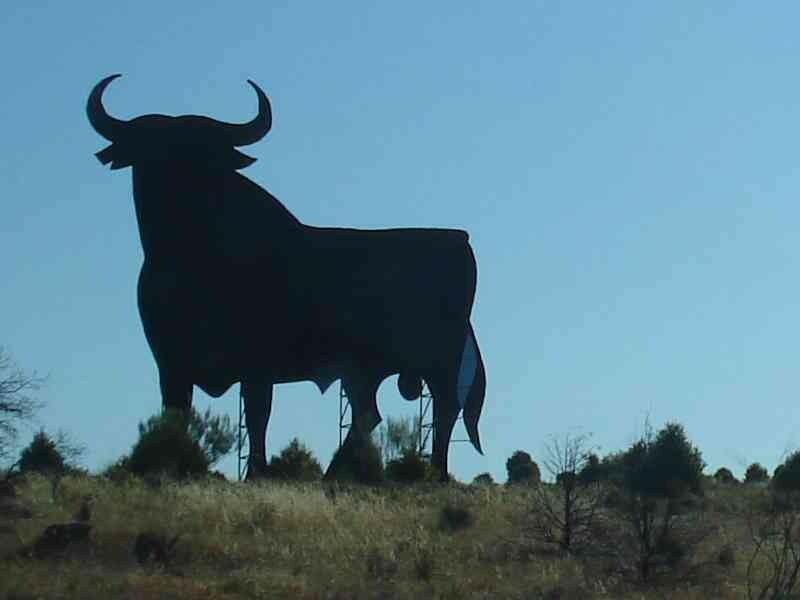 Today, the Osborne bull is regarded as the unofficial national symbol of Spain. Have you spotted the Obsorne Bull on your travels?